Photo: Christopher Morris / RUNVAN. For runners, planning out their 2018 race calendar is an important early-year task. 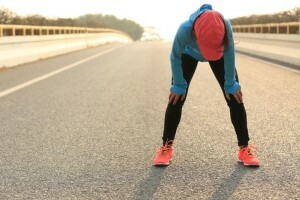 Generally, planning early has benefits including reduced registration fees (early-bird registration) and allows adequate time to commit to a race and train specifically for it. And while winter is quieter time in Canadian road and trail racing, there are still options before the spring, summer and fall seasons pick up. We compiled one race for every week in 2018, all of them in Canada. Consider this one option for your 2018 race planner. A best effort was made to include races from across the country, from British Columbia to the Maritimes to the territories. Week 1: Jan. 1-7 – Pioneer 8K, Saanichton, B.C. Week 2: Jan. 8-14 – Richmond Road Races, Richmond, Ont. Week 4: Jan. 22-28 – Robbie Burns 8K, Burlington, Ont. An ultramarathon in the winter? In the Yukon? You bet this is one of the coldest races in the world. Week 8: Feb. 19-25 – Freeze Your Gizzard, Montague, P.E.I. Week 9: Feb. 26-March 4 – Chilly Half-Marathon, Burlington, Ont. What better way to celebrate St. Patrick’s Day than with a race? The same can be said for the St. Patrick’s Day 5K in Vancouver the following week. Hamilton’s Around the Bay is the oldest road race in North America, first run three years before the Boston Marathon in 1984. Week 14: April 2-8 – BMO Sunshine Coast April Fool’s Run, Gibsons, B.C. The Vancouver Sun Run is the largest race in Canada. 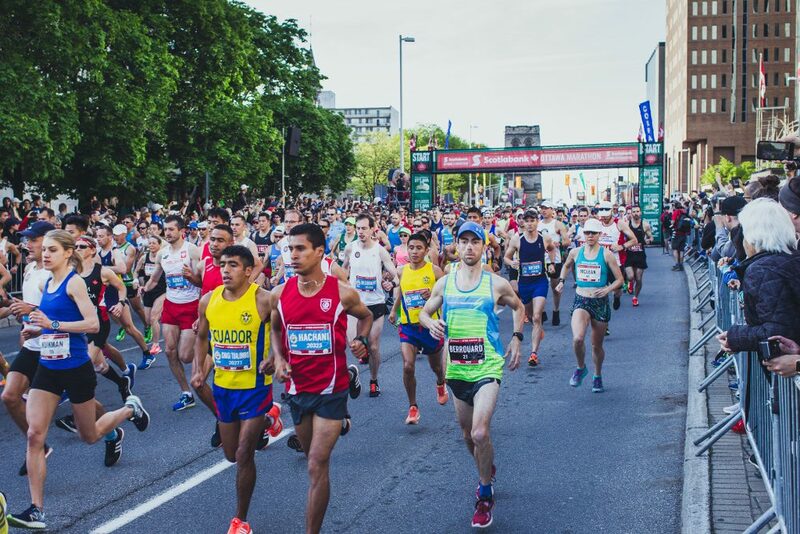 Included in the Tamarack Ottawa Race Weekend is the Scotiabank Ottawa Marathon, the largest marathon by finishers in Canada. Week 22: May 28-June 3 – Whistler Half-Marathon, Whistler, B.C. Week 23: June 4-10 – Sole Sisters Women’s Race Series June 5K, Dartmouth, N.S. Canada Day in the nation’s capital? Yes, please. Week 27: July 2-8 – Sinister 7, Crowsnest Pass, Alta. Week 28: July 9-15 – Not Since Moses, Five Islands, N.S. Not Since Moses is perhaps one of the most intriguing races in the country. Participants run across the ocean floor as the Bay of Fundy tides are low enough to allow for runnable terrain, albeit wet and very muddy. Week 29: July 16-22 – Tely 10-Miler, Paradise, N.L. The Paradise to St. John’s Newfoundland race celebrates its 91st year in 2018 and is one of the most famous races in the country, let alone Atlantic Canada. Week 31: July 30-Aug. 5 – Canadian Death Race, Grande Cache, Alta. Week 32: Aug. 6-12 – Natal Day Road Race, Dartmouth, N.S. Week 33: Aug. 13-19 – Squamish 50, Squamish, B.C. The ever-growing trail race seems to breaks its sell-out record each passing year. Week 34: Aug. 20-26 – Ragnar Trail Cottage Country, Oro Station, Ont. Week 35: Aug. 27-Sept. 2 – 30K Des Rives de Boucherville, Boucherville, Que. Week 37: Sept. 10-16 – Maritime Race Weekend, Eastern Passage, N.S. The Canadian Running staff were in Eastern Passage, N.S. for the 2017 edition of the race and saw what the Maritimes have to offer first-hand. Week 43: Oct. 22-28 – MEC Gatineau Park Marathon, Gatineau, Que. Week 46: Nov. 12-18 – The Phantom Run, North Vancouver, B.C. Week 47: Nov. 19-25 – Canadian Cross-Country Championships, Kingston, Ont. The Canadian Cross-Country Championships host races for all age groups including youth, junior, senior, masters and an open division. Week 49: Dec. 3-9 – Santa Burlington 5K, Burlington, Ont. Week 50: Dec. 10-16 – Egg Nog Jog, Georgetown, Ont. Some dates are subject to change as some 2018 event schedules are tentative. Note that this list be change.